After several rounds of back and forth between the broadcasters and bidders, the FCC’s 600MHz incentive auction is finally moving forward. The FCC today confirmed that with today’s rounds in the forward auction, the requirements of the Final Stage Rule has been met. That means that the auction will come to an end in Stage 4. The auction proceeds as of the second bidding round are $18.2 billion, surpassing the $10 billion clearing cost for Stage 4. Now that the Final Stage Rule has been met, bidding will continue in Stage 4 until there’s no longer any excess demand in any market. The FCC will then allow winning bidders to bid for specific blocks. Unfortunately, no details on the auction have been released, so much of the bidder information is still up in the air. “The world’s first spectrum incentive auction has delivered on its ambitious promise. Reaching the Final Stage Rule means the benefits of the auction are indisputable. We will repurpose 70 MHz of high-value, completely clear low-band spectrum for mobile broadband on a nationwide basis. On top of that, 14 MHz of new unlicensed spectrum – the test bed for wireless innovation – will be available for consumer devices and new services. The auction will provide $10.05 billion to broadcast television licensees who participated and billions towards deficit reduction. We’re still going to be waiting a bit before T-Mobile or anyone else bidding in this auction actually begins deploying these 600MHz airwaves for consumer use, but it is good to finally see this auction making some progress. Surprised there are no comments. I certainly have one, that this supposed “very valuable” low-band spectrum is selling for only around 1/8th the original cost! You can read his sighing between the lines in his statement, especially the “Good Luck! You’ll need it!” at the end. I wonder if part of this is because all the hoopla has died down dramatically for low-band because everyone is staring at 5G (especially TMo), which will operate on the milli-meter wave bands, having the completely opposite characteristics of these TV bands and making Sprint’s 2.6 GHz spectrum look like low-band. However, you’re only likely to see 5G in cities since it requires dense cells (less than a mile or 1.5 km radius or diameter, I forget which) except possibly in the driest deserts (even then very iffy). Considering that TMo’s B12 5MHz segment got overloaded almost as soon as it was released, I’m not that confident 600 MHz will make much difference, but I guess we’ll see when we get there. For data hogs, though, what you want is 5G–if you can get it! You are not likely to see it before 2020 in production with any carrier, though. “Good Luck! You’ll need it!”… where is that? you making up quotes here? To paraphrase the writer is to use single quotes to emphasize ‘paraphrasing’. Double quotes means pulling directly from material exactly as it was stated, not eluding to contextual meaning in paraphrase. As the previous comment reads, it is not conveyed as intended paraphrasing. I’m sorry (really), I didn’t know there was a difference between single and double quotes in paraphrasing. I’ll keep it in mind next time. More likely no longer needed because everyone now has usable 700MHz licenses, and the prevalence/effectiveness of wifi calling and mico-cell type devices to supplement in-building coverage. I have a feeling broadcasters may lower their ask and sell off outside of the auction. The initial ask in stage 1 was $86Bn for 100MHz, or $860M/MHz. As of round 2 of stage 4, bids are $18.2Bn for 70MHz, or $260M/MHz. So current pricing is 30% of the original ask. Round 3 is running right now, and if bids hit $20Bn then pricing will be 1/3 of the original ask. Of course that’s still a lot less – but let’s not say it’s 1/5 or 1/8 when it’s not. Because of propagation characteristics, lower frequency spectrum is best suited for coverage, higher frequency for capacity. 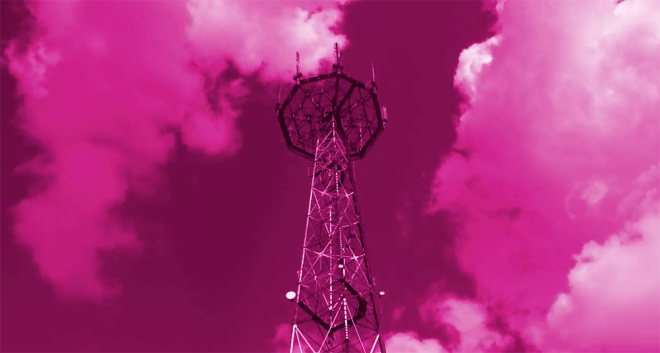 Historically, T-Mobile has had plenty of the latter and not enough of the former – which is why they have the fastest network in many urban areas, but no signal at all in some rural parts. AT&T and Verizon’s history is the reverse: they started with low band spectrum, so great national coverage – but as LTE took off they were motivated to add capacity with the higher bands in the AWS-3 auctions. Verizon’s long-term problem continues to be capacity, not coverage, which is why there is occasional talk of them buying Dish. Dish has a massive nationwide footprint of higher band spectrum (something like 80MHz? ), and even including its primary business (content distribution) has a market cap below $30Bn. It will be interesting to see what the landscape looks like once the auction results are announced, and what wireless M&A activity kicks off once the moratorium is lifted in Q2. 2017 is going to be an interesting year, as Legere’s “crystal ball” predictions suggested. How much 800mhz spectrum do they own? It looks like they have a 5×5 for LTE (band 26) and a further 7MHz still used for 3G (band 10). Though it’s hard to get definitive data so I’m not certain. Well the winners will be made known in March. I cannot wait to see how much T-Mobile purchased for future improved coverage. I hope Verizon and AT&T did not make off with more spectrum than T-Mobile. AT&T has so much spectrum, especially with their recent 2G Network shut down and WCS/AWS-3 spectrum buyouts. T-Mobile and DISH spectrum portfolios would make an awesome spectrum combination! The markets are calling for a sale of T-Mobile to cable (possibly Comcast) or Softbank. DISH is looking to be sold to Verizon. I hope not! Let’s see what the future holds for T-Mobile. Hell no Comcast can keep there hands off t-mobile or any other internet/television company. They already are a big monopoly and don’t need to get bigger. I’m not arguing for the purchase of T-Mobile by any company. I was only stating what I heard some market analysts report or speculate on. However, you cannot deny that DISH has so much spectrum that would be beneficial to T-Mobile, especially their AWS-3 spectrum and nationwide AWS-4 spectrum licenses. Let’s see what less regulation does for the telecom industry. AT&T just announced a new line/upgrade access fee increase to $25 and Verizon went to $30. That to me says that we have nothing to worry about from T-Mobile and Sprint, because as T-Mobile moves to put taxes and fees in their plan costs, Verizon and AT&T increase their fee prices (solely to increase profits). I think they are counting on few challenges from the competition and from governmental regulators, no matter what they do to harm the consumer. Some consumers have the right to switch wireless carriers, but many don’t because coverage and reliability remains an issue for many in rural or even dense, urban areas. Everybody is going to have to step up their game to come close to taking on the Big Two and DISH has yet to show a plan for their spectrum use, other than hoarding them. I definitely did not think you were saying you wanted Comcast to buy t-mobile I was just making a statement that I really hope it does not happen. Also Dish networks spectrum is only usful to t-mobile in some parts of the US as they already have a solid amount of mid band in most places. But compared to Verizon and AT&T, T-Mobile does not have enough spectrum to sustain them long, especially if they continue to gain more customers. People are already noticing slowdowns in data speeds across the country. I just hope they obtained a lot of 600MHz spectrum in the incentive auction. 10×10 nationwide spectrum licenses will be great, but with carrier aggregation for places where T-Mobile has 700MHz spectrum, is unnecessary. I am not up to date on there mid band spectrum holdings but I remember hearing that one of the reason for slow down in some areas is the way they have the network set up such as cheep setup to save money and/or old equipment. I don’t remember exactly what all the technical things were but t-mobile still has alot of work to modernize all of there equipment and have it set up to take full advantage of the spectrum they have. With there users being the most data consuming ppl out of all the cariers I guess it would be good to get acquired by dish. I was kind of hoping Deutsche Telekom would acquire DISH instead of the other way around, solely for the spectrum but I guess T-Mobile could sale satellite TV if they wanted to bundle. I think that might costs more in infrastructure and logistics than what T-Mobile is equipped to handle. Even AT&T is having a time with DirecTV from all of the consumer complaints regarding poor TV service, customer service, and costs. I remember a time when DirecTV had very good consumer reviews. Well when one bad company buys another company, so goes the customer service. Yes. In the rural areas, T-Mobile uses their old 2G radio panels for LTE and only changed out the base stations to support LTE. I think they are waiting to switch the tower equipment when they are ready to deploy the 600MHz spectrum so they don’t have to come back to the rural areas for frequent upgrades. Just my guess anyway. I was not talking about rural areas as what you said is most likely there plan and I remember t-mobile saying something along those lines. I was talking about the suburbs and city’s. I always thought the urban tower equipment was more up-to-date and that small cells will help fill out coverage in those more dense, urban areas. I am not sure. 600MHz will help urban areas and the use of carrier aggregation between multiple spectral bands in those areas should also help with data speeds. We just do not know how much or where did T-Mobile obtain their new 600MHz spectrum licenses. For the most part yet but the issue is more that t-mobile apparently goes for a more cost savings rout instead of using the best possible setup. I find this to be true because if you compare t-mobile and Verizon in cities where they have the same amount of bandwidth somehow Verizon performs much more consistently than t-mobile. I really hope t-mobile got enough 600mhz to blanket the hole USA with 10x10mhz. And they should focus on deploying where they already have “coverage” but is spotty and than start expanding out.